Social media is immensely popular, particularly the powerhouse Facebook, which boasts 1.2 billion daily users and is now worth over 500 billion dollars according to Zephoria.com. No, you didn’t read that wrong— that’s billion with a b. Due to Facebook’s immense following, as well as the subsequent rise of similar platforms such as Twitter, Pinterest, and Snapchat, much research has been done examining social media’s many effects, particularly among adolescents who’ve grown up utilizing this powerful technology. Much of this research has focused on Facebook’s potentially harmful effects, such as cyberbullying, which many researchers have linked to rising suicide rates in recent years according to USA Today. Cyberbullying is, and will remain, a huge concern for families as access to and means of communication continue to expand. According to the Cyberbullying Research Center, over 50% of adolescents have experienced some form cyberbullying and between 10% and 20% experience it regularly. Bear in mind that, as with many sensitive subjects, these occurrences are often underreported. Persistence – The ability to instantly and continuously communicate means that it can be difficult to find relief from cyberbullying. Permanence – The permanent and public nature of digital information means that an online reputation can develop and impact other areas of life for an extended period of time. 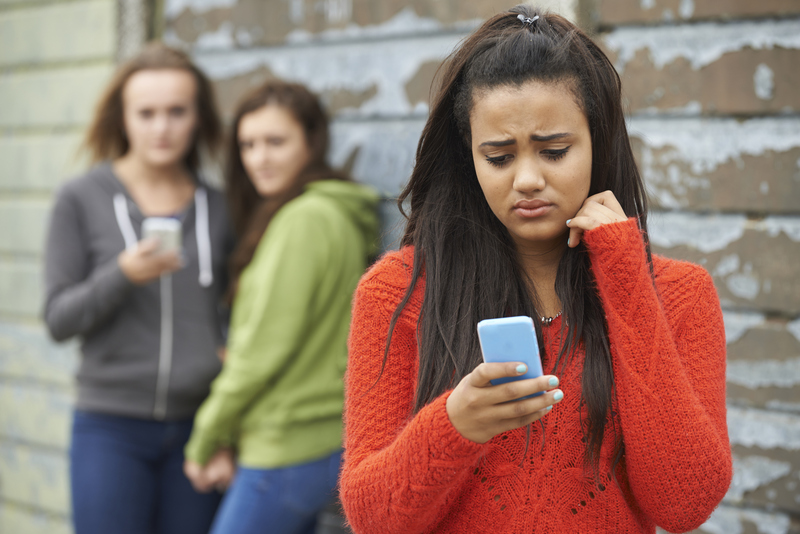 Hard to notice – The often imperceptible and unseen nature of cyberbullying means that it’s harder for adults to recognize and address. Facebook, as the most popular social media platform, has been a hotbed for cyberbullying occurrences and is regularly criticized for its relatively lax and unregulated policies that seem to embrace, rather than address, the aforementioned concerns. However, a lesser-known fact is that Facebook is responding to this need and expanding its services by introducing a new tool designed to identify members who may be at risk of self-harm and/or suicide. According to BBC News, Facebook has developed “pattern-recognition algorithms” that identify need based on content posted, such as certain words or phrases used by both the individual and their family members or friends. Read their full article here. According to Scientific American, if Facebook recognizes an at-risk individual, it presents them with a number of options including contacting a helpline, getting tips on what to do in moments of crisis, or talking with a family member or friend. There is some debate as to whether this will be an effective means of preventing self-harm and/or suicide. Because this trend is relatively new and ever-evolving, Scientific American says that science is still trying to make sense of what works best on these particular platforms. Read their full article here. While this feature may never make self-harm and/or suicide completely predictable, everyone can agree that it’s definitely step in the right direction. In the meantime, WISE encourages all adults to be aware of and present in their child’s online activities and to encourage healthy and safe online practices in order to prevent cyberbullying and other potential dangers. Look below for select tips and tricks from TeenSafe.com and Parents.com to see how you can encourage and ensure online safety. Talk to your children openly and honestly about possible online issues. Let them know they can come to you for help if needed. Encourage your child to friend only those people they know personally and are “real” friends with. Conversely, tell them not to associate or give information to anyone they don’t know. Help your child set their privacy settings. Friend your child online but interact sparingly. Avoid posting embarrassing photos and comments regarding your child. Instead, observe at a distance. Keep electronics in common areas so that you can monitor your child’s online activity and usage. If your child is being cyberbullied, have them wait to open Facebook until you can sit and read the messages or posts together. Be supportive and understanding. Find out the details, and ensure that you’ll work together to find a solution. Talk to your school’s administrators, guidance counselors, or social workers so they can keep an eye out for bullying during the school day and intervene if necessary. If there are threats of physical violence or the bullying continues to escalate, don’t hesitate to get law enforcement involved. Be sure to take screenshots and print off examples of the cyberbullying to act as proof. For those reading this that may already be experiencing cyberbullying or having suicidal thoughts, please click here for a variety of valuable resources provided by StopBullying.gov that may help identify what you can do in a certain situation.